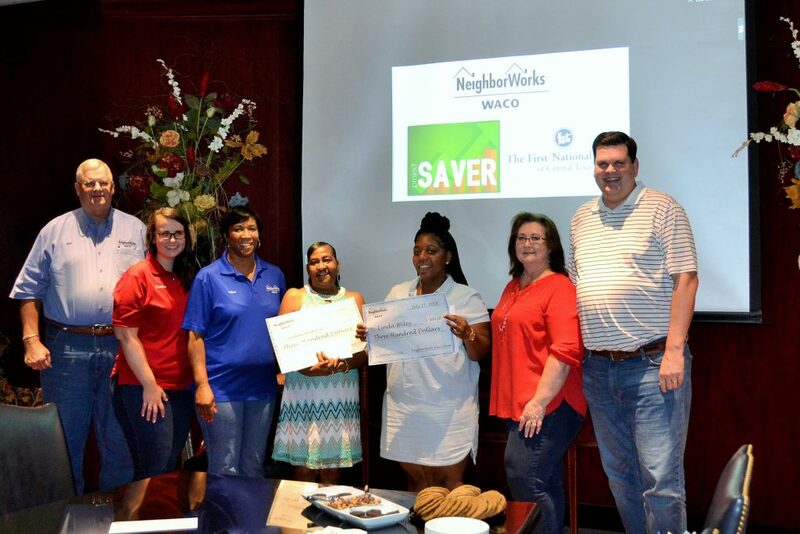 In November 2017, NeighborWorks Waco started a new limited run program- Project SAVER. Project SAVER was designed to help 30 participants rebuild credit and start a pattern of saving by offering a financial incentive for those who successfully followed program guidelines and completed on time! In July, we had our first three successful graduates of Project SAVER! Each saw an improvement in their credit score, and each earned their $300 matched incentive! This program would not be successful without the partnership of First National Bank of Central Texas, who has gone above and beyond to make this program work successfully for Project SAVER participants! We hope to help create and partner with other organizations for similar programs in the future to help many more establish good credit and saving habits!